1 Month Subsciption to Chartreaderpro Trading Ideas and Patterns.HOW DOES IT WORK? 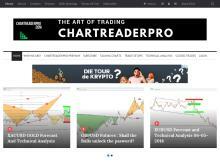 ChartReaderPro searches all chart patterns. The patterns it looks for: Gartley Bat 3 Drives Swan Shark Butterfly Dragon Cypher ABCD Crab Triangles FlagsDouble Top and Double BottomHead and Shoulders and Inverse Head and Shoulders Rising and Falling Wedges Bullish and Bearish Rectangles Bearish and Bullish Pennants Triangles (Symmetrical, Ascending, and Descending) Trendline breakouts Additionally searches and combines them with : Fibonacci Levels Murrey Math Lines Divergence and Convergence Moving Averages Bollinger bands and send the trade ideas to our team. WE DO Final check with the financial data flow. And we publish the trade ideas. Hundreds of pips every day. Tags: , forex, Forex Signals, forex trading ideas, harmonic pattern indicator, harmonic pattern scanner.